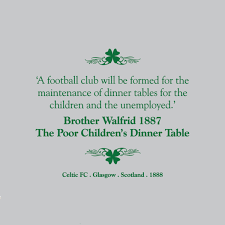 Once again The Scottish Premiership is upon us and only a fool would tip anyone but Celtic to win it. Ronny Delia can hardly be flushed with a League, League Cup double and an insipid European adventure that had everything in its story including Lawyers. Delia has a very tricky job he is not only expected to win the league before the spilt but he has to do this in a style that pleases a massive fan base. 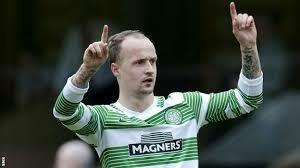 It is very difficult to predict what kind of season Celtic will have but you can say they win this league. Virgil Van Dyke is a talisman but a failure in Europe will mean that he simply makes the club a nice profit following transfer window. Third Place for me is a surprise and controversially I am pluming for Dundee. Paul Hartley has managed to turn Club 12 round, the attacking style with solid defence for me is a potent mix, and if you are going to offend a city, you may as well offend half the City. A visit to Dens dripping in History is a tricky experience and gives the Dark Blues fans something to come out for and Dens is a tricky place that will steal points from any team at any time. Perth with a couple of years of fleeting European experience comes up with a pleasing fourth for Tommy Wright’s Saints. The phrase workmanlike is easy on the mind with St Johnstone Scottish Cup Winners in 2014 they seemed to miss Stevie May last year but just when they needed to get it together after Christmas that’s exactly what they did. Any team that includes veteran James Mc Fadden passing down knowledge to younger players has to be included in your thoughts for good cup runs and occasional shock results. As soon as they become consistent then they could even challenge higher but a sturdy fourth place. 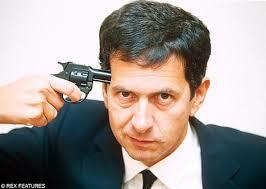 Robbie Nelson might talk the talk but his Hearts will be broken in a very creditable fifth place. Edinburgh’s only representative in the top League will be looking to bring some Capital Gains to Old Reekie. 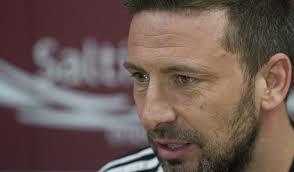 The rampaging style of last season will be thwarted by more drilled skilled teams shutting down the free scoring Jambos. 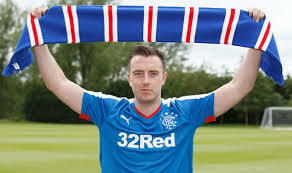 Losing Danny Wilson and Jason Holt will hurt. Maroon fans have to hope that the latest crop of youth and experience shall keep them in this league and maybe even challenging for cups and looking to stabilise. 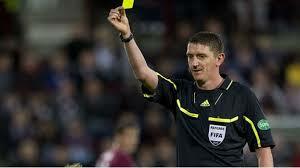 The key to smiles in Gorgie this season is post Christmas. Keeping in the mix will be important to a team that already looks like its running on adrenaline. 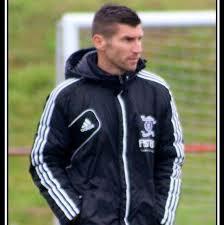 Escaping Relegation last season Ian Barrowclough will look to push on from the lucky escape last year. From Ugly scenes to a beautiful sixth should please Motherwell. With a crop of great young players and experience of Stephen Pearson, David Clarkson all bodes well for The Well. I get a feeling that sixth is as good as it will get for Motherwell with a touch of claret and amber luck they may just trouble the cup semis but a consolidation season safe mid table. John Hughes has his doubters and fans never not with something to say and always good value and his personality has infused every team he has been connected with. The Scottish Cup Holders will miss Shinnie as he moved down the A96. The fear of complacency runs through the Highland capital. Caledonian Thistle shall do well at Home as the wind blows in off the Morey Firth and will give a good game away too. Nevertheless, for me they will struggle to hit the highs of last season but again a solid mid table not really challenging but not in any danger of falling out the League or even flirting with the playoff place. Ross County in eighth is a bit of a punt with several players joining Jim McIntyre’s squad. 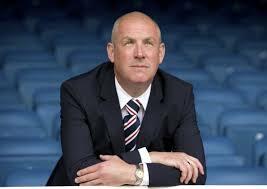 Richard Foster tormented at Rangers last year must be trying to regain professional pride for one. The problem is that as hard as you look at the Dingwall squad you cannot find any real class so you have to look for a well-drilled well-organised team. Sadly, for the Victoria Park side that given the last couple of Years Foster does not bring that to the table. A troubled season for Ross County the only saving grace is that there is worse in this league to stop their slide down into the danger zone. Partick will need more than a scary mascot to survive and in Matthias Pogba they might just have enough to secure survival. 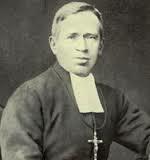 He may not be as good as his brother but he is good enough to please the well-worn Maryhill Faithful. As you would expect Firhill will supply thrills, spills and some skills hand in hand with Lisa Simpson on acid and surprises too. Staying up with the big boys is all this club wants they will sacrifice cups to simply stay in this league and they will. Kris Boyd, Lee McCullough join Gary Locke in a Kilmarnock team that looks on paper tired and plays worse shipping goals and looking disjoined its going to be a long season on plastic at Rugby Park. With Questions still being unanswered in the boardroom and seats going unsold in the stands this is a club in free fall. Like Partick above them, the numbers game means that teams worse than them will save them. Ayrshire fans must hope that. Something like a foundation lying season is in front of them and all eyes shall be on season 2016-17. There is enough talent at this club but a lack of gelling and cohesiveness will be the failure. Hamilton will want to forget 2015 already and I feel this year will not appear in any big selling DVDs at the club shop Martin canning has simply not been able to keep up the standards of Norwich’s Alex Neil. There may well be a new sensational young player bursting from the most productive youth system in Scotland but August to January saved this club last season and without a great start like that again then this club will simply slip quietly into eleventh and the play off position. 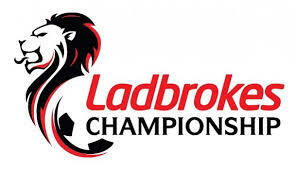 With my other prediction for the Ladbrokes Scottish Championship a rematch against Hibs seems likely and that tie if it occurs already has the mouth watering. A lowly position but without any light it seems a dark season is in the offing for Accies. Twelfth place in my predictions goes to Dundee United. I simply do not care how financially greedy the club was. I also do not care how much commission Jackie McNamara got if you lose Makay-Stevens, Armstrong and Cifti then it is no wonder you lose games. I am not saying these players are bigger than the club is but as a collection of loses it means you lose and lose badly. United look disjointed without a direction and a shambles of the side that started last season. I predict also that the Manager must be favourite to be sacked this season. Once again the Championship is where it is at. Already taken up more column inches and the season has not started yet. Rangers simple have to win this year. 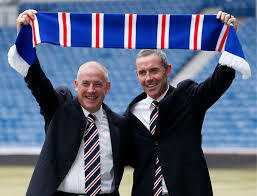 No one could have predicted the catastrophic events on and off the field last season and Mark Warburton has invested well yet kept enough experience to settle this side. 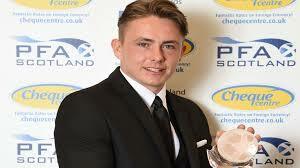 The Petrofac Training Cup demolition of Hibernian set a standard that might not always be held up but means that the no brainer is to back the Govan team to win this league and win it comfortably with or without Scott Allan. 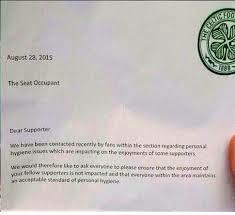 This brings us onto Hibernian. 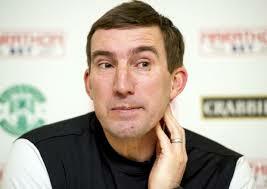 Alan Stubbs seems more intent in kicking his rivals transfer bids than kicking his team into shape. The only positive about the Scott Allan transfer saga for him is that it took away the pressure from losing at home to Rangers so badly in spite of taking an early lead. Solid in second for the Leith side if they get their act together. The Hibees have to hope that they will finally win a playoff tie in the new league set up. Peter Houston’s Falkirk runners up in the Scottish Cup for me are solid in third a good cup team strengthened in right areas with a superb youth system and training set up. Dangerous in playoffs given their cup record and always a tough proposition at the Falkirk Stadium. Third with a chance in Playoffs. Queen of the South in fourth seems such a waste but its stable and that is exactly what the Dumfries side are solid dependable with enough skill to cause any team problems. James Fowler has simply operated a business as usual police and you know for the Palmerston players same as last year and a good shout in play offs is not the worse result ever. Good cup record too so always a danger. Raith Rovers Grant Murray has that mix of youth and experience and looking at them it is another year in the Championship gaining experience with the occasional shock to build towards a genuine push next season. Starks Park on a cold Tuesday in December is a cold and foreboding place and more than a few visiting teams will leave points in Fife. For their part, blowing hot and cold away from home is a worry for the Kirkcaldy Side. Dumbarton in sixth Ian Murray may have departed on a ferry across the Clyde but Stephen Aitken has a solid well-drilled squad with a good mix and the shadow of the rock makes the sons a tricky proposition at any time. Staying in Championship is their priority. Playing Rangers brings back the historical shared League title glory. 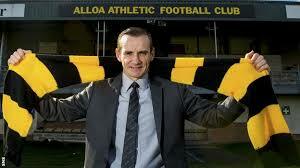 Alloa in seventh. The much-maligned plastic pitch at Recreation Park is a great leveller whether there is anything that wrong with it or not. It gathered a reputation that Hibs Fraser Fyvie can testify too and this fear makes teams travelling to play the Wasps wary of the sting in the tail. Danny Lennon should enjoy his trips back to Paisley and his guile; self-assurance and need to get one over his former employers should place Athletic above St Mirren. St Mirren Eighth. A dismal season last year with a decision to release Danny Lennon compounded by a strange promotion of Assistant Manager then when he was sacked a senior player! The only thing that distracted people from looking at the shenanigans in Paisley was the events happening just along the Paisley Road West in Ibrox. Disastrous home form for the last two seasons and not much better away. The League Cup Winners of 2013 have choked on the smell of Brasso and choked in the face of opposition from every league in all Cup competitions. Ian Murray has jumped across the Clyde to sort it out but selling Kenny McLean might stabilise finances but hurt the team. A year of rebuilding and should stay in Championship without challenging either the top four or endangering relegation spots. Important they keep the Buddies Fans onside too. 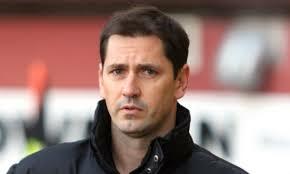 Livingston ninth Mark Burchill is trying to rebuild a club that has been subject to more financial audits than is healthy for any club in recent years. Do not get me wrong Burchie is the man for this job and although I predict a lowly finish, I do feel they have just enough to stay up. Morton Tenth. The jump up is enormous they done well to beat Dunfermline last year to win promotion but it has to said there is really nothing that makes you think they will set the heather on fire. Jim Duffy will enjoy the Renfrewshire Rivalry with St Mirren but Greenock will only be a destination in this league for one year.